I actually whipped these things up a couple of weeks ago the day after I made that Ranch Chicken Pizza. 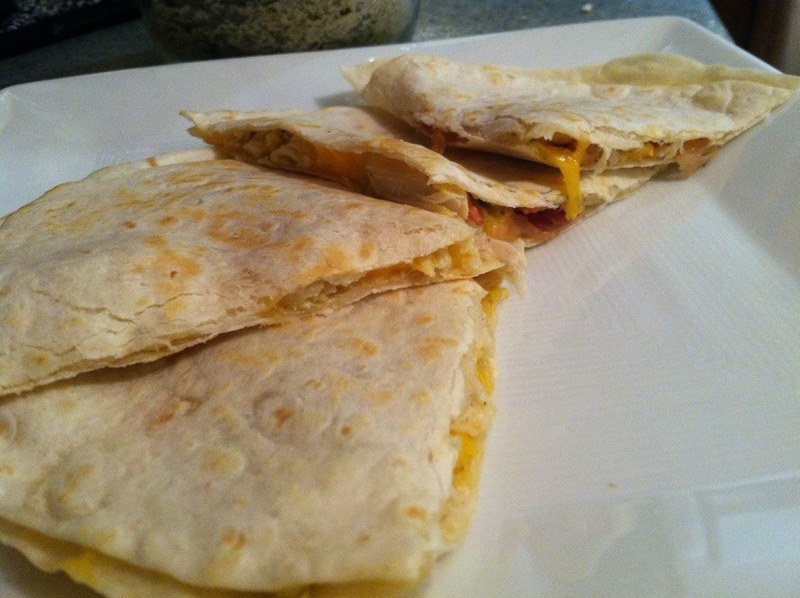 I had made enough shredded chicken for two dinners, so I figured I would make some quesadillas, since Mexican food is always a hit with my daughter. I stuck with the ranch and bacon theme like the pizza, since I had all the ingredients already on hand. I just mixed some dry ranch seasoning in with the shredded chicken. Sprinkled some chicken on a tortilla with some shredded cheese and chopped bacon. Top with another tortilla and heat in a skillet till golden brown on both sides. Easy weeknight dinner!